Kaduna State Government says decision to clear illegal structures erected under ‘High Tension National Grid Lines’ in Barkallahu community in Igabi Local Government Area of the state, is to prevent a looming disaster. A statement signed by Special Assistant (Media and Publicity) to Governor Nasir El-Rufai, Samuel Aruwan, copy of which was made available to Gobroadsheet , said the State Government clarified some misrepresentations going round in the media on the directives given to the residents of Barakallahu living under High Tension National Grid Lines, adding that the intention of the government is to first protect the lives of its people and ensure that all laws regarding acquisition and development of residential or commercial buildings in the state are adhered to. The statement read in part, “government had observed with dismay that some residents of the Barakallahu area in Rigachikun, Igabi Local Government, have illegally built houses under high tension national grid lines, thereby exposing their lives to danger and harm. This action the government stated, contravenes Section 29 of the Kaduna State Urban Development Agency (KASUPDA) Law No. 12 of 2015. 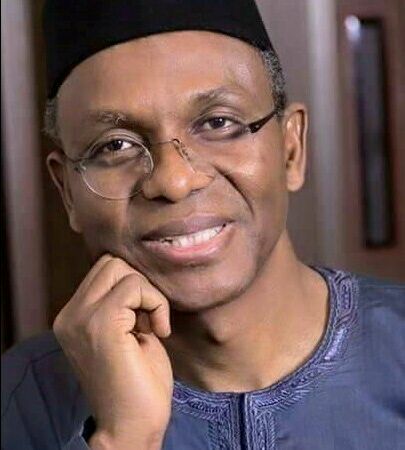 “Kaduna State Executive Council in its 24th meeting held on Monday 18 July, 2016, directed KASUPDA, to “issue eviction notices to those who had built structures within 30 metre radius from the high tension national grid line in view of the looming danger”. “Members of the general public will recall that a similar case on the 16th January, 1999 led to disaster when a surge of electric current within two minutes led to the death of 13 people instantly, including women and children, while 53 persons sustained injuries and several properties went up in smoke in Farakwai village in the same local government”. The statement however reiterated that, the action of issuing eviction notices was done “purely on humanitarian bases and in compliance with section 48(2) of the above law” and that the Kaduna State Government will not fold its arms and watch its residents violate its building laws and put lives and property on the line.